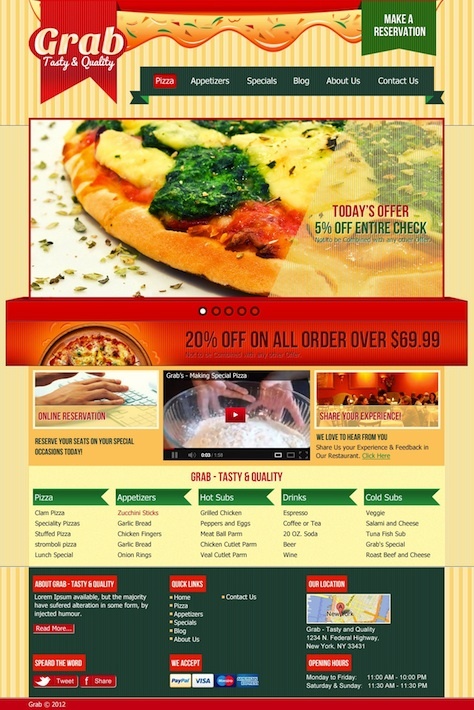 Grab is a WordPress theme aimed at restaurants and eating places. Grab enables you to add food items along with details such as price, serving size and key ingredients that make up dish or beverage. Additionally, You can also categorize food items using Food Type, Food Category, Meal, and Cuisine. There is help documentation to help you setup your site. Grab Restaurant WordPress Template features menu cards, social media integrated, google maps, reservation module, scrolling featured images, opening hours, video gallery, contact form, types of payments accepted, specials of the day and more.